Size Available : 3/8" O.D. to 2.1 /2 " O.D. » Simple to change cutter for different groove shapes. 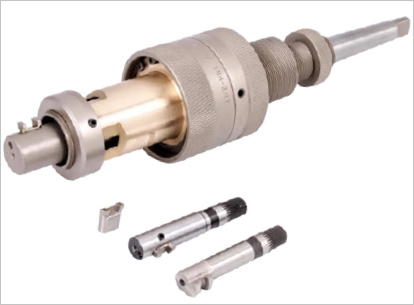 » Changing of pilot nose & cutter allows one tool to cover a range of hole diameters. » Location & depth of cut easy to adjust. » Only light pressure required to cut precision grooves. » Ready to fit CNC drill machines, lathe and boring machines. » The life of the cutter extendable by re-sgapening.